II‐VI Incorporated has unveiled its DirectProcess 900 direct diode laser engine with active rectangular-beam shaping for micro materials processing. 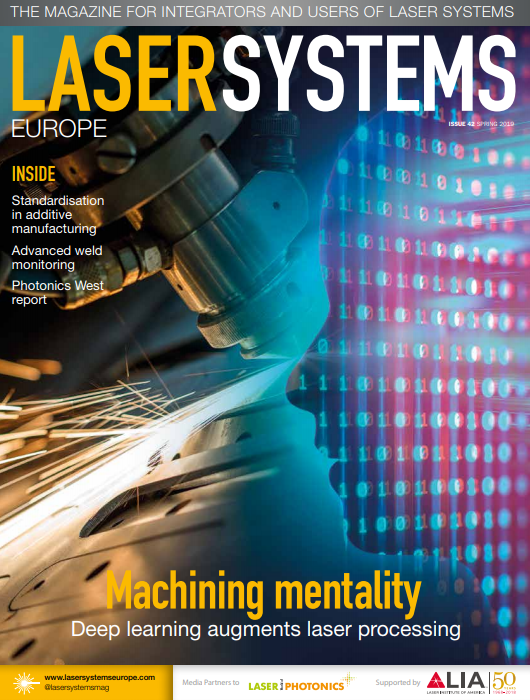 Next generation consumer electronics, with their increasing capabilities in small form factors, are driving innovation in laser-based manufacturing to solve new challenges in microelectronics assemblies. II-VI’s new DirectProcess 900 FlexShape, with its leading-edge top hat beam parameter profile of 6mm x mrad, can be dynamically adjusted to an arbitrary rectangular beam width and length ranging from 0.2 to 50mm for non-contact localized soldering, bonding, and annealing in microelectronic components and connectors. The DirectProcess 900 product platform can be programmed by users to perform precisely timed processes, and can be managed and diagnosed remotely through its TCP/IP or EtherCAT interfaces. II-VI’s direct diode laser engines are available with powers ranging from 200 to 1200 W. They are small, lightweight and robust, making them ideal for direct mounting on automated stages or robots. They can be deployed along with II-VI’s laser processing heads and laser light cables.